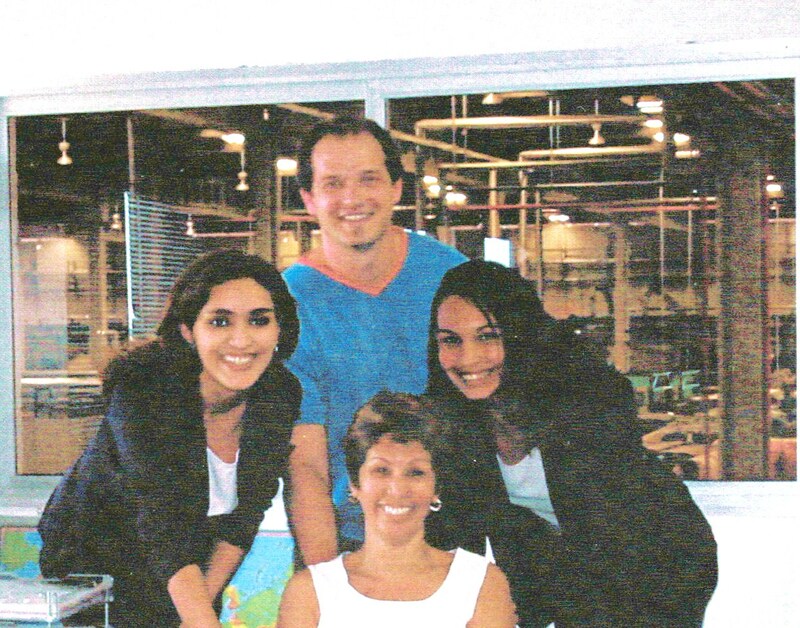 When I joined the Export Department at Italbras Leather Producer & Exporter,* I was the oldest woman on the team. The much younger and well-qualified Brazilian export manager put me to shame. She was fluent in three languages: her native language Portuguese, English, and Italian. What’s more, she was adept at navigating the factory’s electronic system for control of production and shipments. After experiencing the vulnerability of MS Excel spreadsheets for controlling foreign exchange contracts and payment receipts, I proposed the development of a program specific to our needs. Fernando*, the handsome, young newcomer to the Finance Department, was assigned the task. To facilitate collaboration, his desk was aligned with mine, facing each other. His presence unsettled my female co-workers. “Watch out, Rose. He’s after your job,” one said. “He even listens to your phone conversations with the banks,” another added. How could he develop the program if I didn’t explain every small detail to him? Italbras was a year-old company preparing to take off. Now was the time to put sound systems in place for increased performance and accuracy. If Administration intended to hand over my work to Fernando, they must have other plans for me. I hoped. Be part of the solution, I told myself. Don’t create any problems for Fernando. Perhaps I was being naïve. Weeks later, when the Finance Department was moved to a large spacious office on the top floor of the Administrative Building, Fernando and I joined them. Oh, blessed reprieve! No more noise of rumbling drums and battering machines. At last, I could think straight. In the beginning, the export manager forwarded clients’ payment details by e-mail. Soon thereafter, Mr. Leonelli,* our Italian Commercial Director, instructed all clients to forward payment details directly to my e-mail address. With the addition of new clients and increased exports, I began working with several banks in Fortaleza and São Paulo. When Fernando completed each phase of the program (Access), I tested it for errors. At lunchtime, I joined my import-export co-workers in the company’s dining hall, located on the first floor of the Administrative Building. All was well between us. Then the bomb fell. A Friday afternoon. Our export manager was fired. I was summoned to an emergency departmental meeting the next day. Why was she fired? We could only speculate. Leaving earlier that day, she did not return to Fortaleza with us on the company bus. Her qualifications, hard work, and dedication were not enough to secure her position. When we become a problem—for whatever reason, within our control or not—we lose our value to the company. It was a lesson I could not afford to forget. At the meeting that Saturday, Mr. Leonelli formed a new three-person export team. Each one of us was directly responsible to him. On Monday morning, I handed over my workload to Fernando. Back again to the rumbling drums. Rosaliene Bacchus offers us another lesson in business operations and politics. Thanks Rosaliene! Thanks, Cyril. Thanks, too, for sharing my blog post with your readers on Guyanese Online. A sad story with its inevitable reminder of unfairness. Thanks for your comment, Dr. Stein. The world of big business focuses on results and profits. There are tolerance limits for failure to maintain high performance levels. Stories like this influenced me into becoming an active trade unionist…..
After joining Royal Mail Xmas mail sorting I decided to join as a permanent employee as a POSTMAN….lowest round of the ladder. workers) I would be confirmed as a permanent employee of Royal Mail. the work place….by the then locally elected union rep…..as his understudy. I learnt quickly soon challenging him on many issues which I disagreed with. on some managerial decisions that were been initiated locally. died……his job was offered to me but I declined as felt others who were there longer than myself should be given the chance. neither did I so we had to have an election …..
Not surprising I was elected and my battle began. Not with “management” but my own union bosses. Corruption was rife at the highest level ….. I told my boss that if I defended her and won she may then agree to rejoin union. however I ignored his warning defended her and got her reinstated and she rejoined the union…..
practice to cease….against the wishes of his older members of his labour party. Your experiences testimony to how the corporate world “dog eat dog” dogma applies. to quit (resign) is the only freedom left from the struggles of past. Kamptan, thanks for sharing your labor union experience. At the time, only the factory staff were unionized. When you are the sole provider and job opportunities are hard to come by, quitting is rarely an option. I do understand the dilemma one is faced with in the workplace…. to work from home…if possible…..as they are more productive/innovative. Most city workers spend 2/3 hours commuting to/from work…. of its workers…..they use the union to motivate the workers…. Hopefully for a more productive one. “Incentives” in production much more effective…..reward for hard work. Slavery although abolished two centuries ago is still practiced today. “Walk the talk” ….lazy ones seldom do…ugly ones “sacked”….. The right to protect the workers from victimisation/wrongful dismissal a union decision. Today it is democratically done by “ballot” paper to be legal. Only recently 750 workers were to loose their jobs here in Scotland for economic reasons…..a ballot voted in favour of “strike action” ….management decided to close the plant. Workers are not slaves…..they are the producers in society…. A slave was sold for £1000 in today’s money 20 times that…. Even slaves are priceless ! Most valuable asset in the workplace. Very good, Rose – management (and I was part of management for some large American companies) are the same all over the world. In one organizaton, I was advised not to give a subordinate a less than good review because he could wind up being my boss one day. And coming from a staunch union family myself, I appreciate Kamptan’s comments – unfortunately, most Americans have little appreciation of what workers unions have given to all of us: a 40 hour work week, overtime, the benefits that we have allowed to be steadily eroded. As workers worldwide, we share more in common that we realize. I agree with you that Americans have little appreciation for workers unions. We take so much for granted, forgetting how much former generations have fought, and sometimes died, for the rights we enjoy today.